We all knew it would eventually come to this. Once the craft and quality of bourbon, whiskey and tequila was embraced by the consumer, rum had to be next. Rum has long been on the back of the bar humiliated by its forage into umbrella-ed drinks, cruise-line frozen concoctions and as a diet coke additive. Not known as worthy of sipping and discussing its subtle nuances, its popularity diminished alongside the more masculine spirits. Ernest Hemingway stated, "Before an attack who can say anything that gives you the momentary well-being that rum does?" 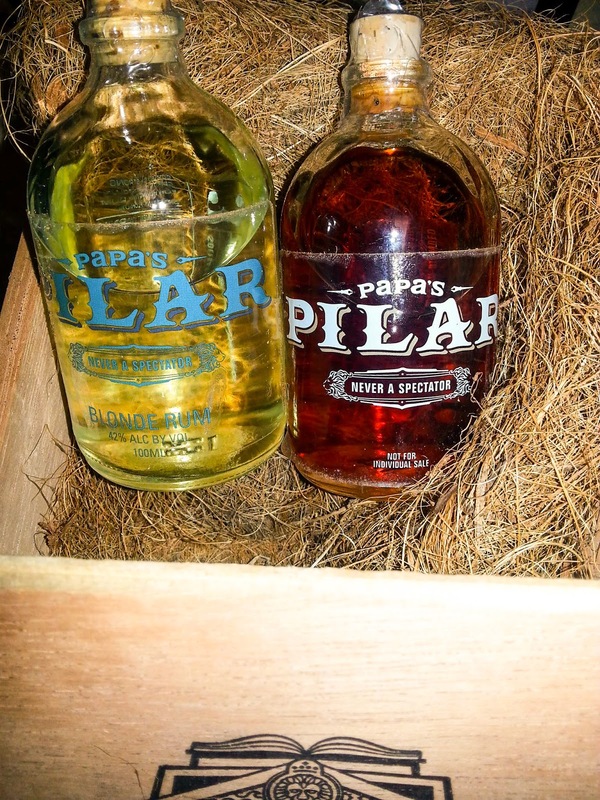 And to have it arrive in a wood box, as these two bottles of Papa's Pilar rum did for review, makes life even more pleasant. The small crate was stamped with Republica Dominicana 14 Nov 2012. The aroma of the wood, the straw-like packing material and the two bottles gave me a flash of the style. The Hemingway Estate sanctioned this rum, named after Ernest "Papa" Hemingway the Pulitzer Prize-winning author and Pilar, the writer's beloved boat in which he had numerous adventures. 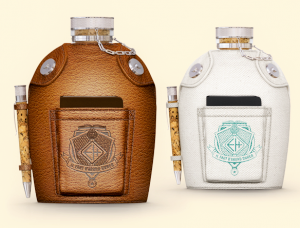 With the rum's bold spices and a canteen-designed bottle, it's easy to tell the respect (and knowledge of) of the late veteran and outdoorsman by all involved. Rums from the Caribbean, Central America and the United States were pot- and column-distilled. They were then aged in bourbon and port barrels then finished off in sherry casks and blended in Kentucky. See Solera aging for the full process. Swirling the amber liquid in a glass, aromas of caramel, spice and vanilla waft out. Although Hemingway was known for being succinct, the flavors of spice and nuts linger for a nice finish. Giving the blonde a swirl, I notice notes of citrus on the nose. Slight flavors of vanilla are quickly followed by sheer heat and taper off into citrus. Both will work well in cocktails, I particularly imagine the dark with mango nectar. However, they will equally satisfy the palate sans mixers. Although Papa's Pilar rum has been on the market since 2013, it sneaked in stealthily so as not to disturb the bourbon revolution, I suppose. Now, it seems to be making some noise and I applaud it. Hemingway did not go quietly into that dark night and neither shall his namesake rum. Elizabeth J. Musgrave writes two magazine food and wine columns: Destination Dining and White Linen & Corks,and is a travel, features, food and wine writer, travel and food photographer, and a restaurant and performing arts critic. Catch her as the Travel & Leisure Adviser on FOX59 Morning News Show. She also is a speaker, consultant and trainer for hospitality, travel and luxury businesses, P.R., and tourism groups, as well as a radio and television guest and host. Follow her on Twitter @GottaGo, LinkedIn and Facebook.